Online abuse of women and LGBTQ people is relentless. But there are resources to support you, from digital security to self-care tips. 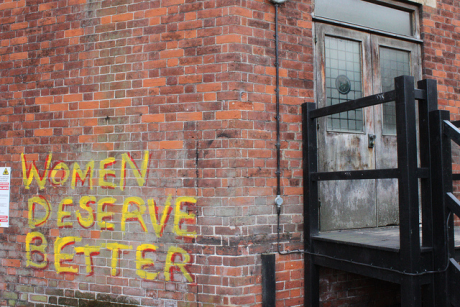 'Women deserve better' graffiti. Photo: Devon Buchanan /Flickr. CC BY 2.0. Some rights reserved. 50.50 is increasingly exposing targeted hate online – and the findings have been distressing. Our investigation into a US evangelical group found deliberate targeting of LGBT youth with ‘dehumanising’ Facebook and YouTube ads. Another report found that online platforms have enabled a 'deluge of hatred against trans women' in the UK. We’ve also been on the receiving end of online abuse. One of our writers has shared some of the particularly nasty misogynistic abuse she’s received. 50.50’s reporting from an international conference on men’s issues in London unleashed a men's rights backlash on social media and in the comments section of our article. Amnesty International’s ‘Toxic Twitter’ report, the Guardian’s ‘Web we want’ series, and the Women’s Media Centre Speech Project have documented how women of colour, LGBTQ people and women with disabilities experience the worst forms of online abuse. But it’s crucial that trolls and other abusers don’t ruin the internet – which is also an important space for feminists to organise, learn from and communicate with one another and with wider communities of current or potential allies. 50.50 reached out to activists, journalists and allies for advice on responding to online abuse. Here is a round-up of some of the resources they shared with us. 1) #HerNetHerRights resources from the European Women's Lobby, including ‘The ‘Activist Toolkit’, help internet users assess what risks they face, including trolls and hate speech, as well as how to take protective measures and respond to abuse. They recommend finding supportive communities online, collecting proof of abuse, blocking trolls and encrypting devices and files. 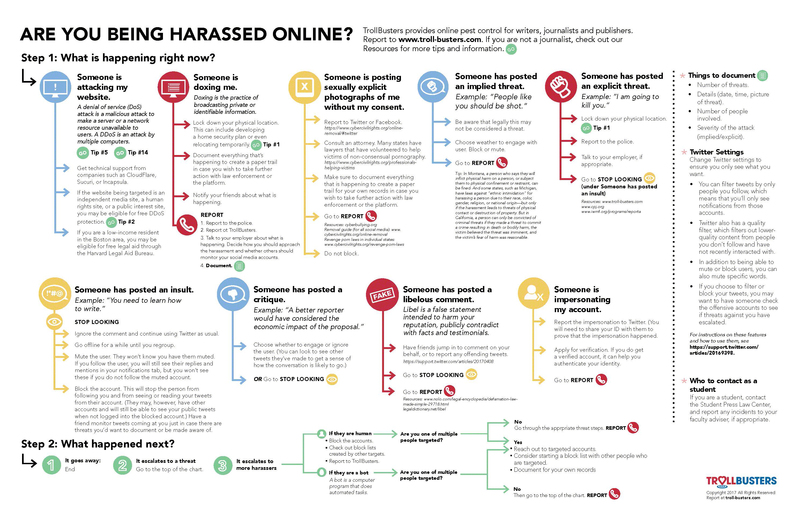 2) The Speak Up & Stay Safe(r) guide from the non-profit Feminist Frequency responds to online harassment from “individuals, loosely organised groups & cybermobs.” It includes bite-sized guides to setting up two-step verification, creating unique passwords and removing potential ‘doxxing’ information. (Doxxing involves the broadcasting of personal information to shame, coerce, exploit, persecute or harass). 3) Counterspeech do’s and don’ts from the anti-street harassment movement, ‘Hollaback’, is a guide in comic form to support internet users in countering online harassment. If you feel safe and calm, there are some instances where it is possible and appropriate to answer back to a cyber-abuser. It recommends remembering that behind each hateful comment is a person. The comic offers clear examples of recommended “Do’s and Don’ts”. For instance: label the comment, not the person. 4) ‘A DIY Guide to Feminist Cybersecurity’ from activist group Hack Blossom shows how to reduce your visibility to malicious threats, prevent trolls from accessing private information, and stop private companies from collecting your personal data to target you with adverts. This group has also created a specific domestic violence guide, for cases where cyber-abusers are partners or ex-partners, for example, harassing you via social media or your telephone, or by stalking your locations. Demonstration against homophobia, 2013. Photo: Marco Fieber /Flickr. CC BY-NC-ND 2.0. Some rights reserved.5) HeartMob’s platform offers resources and documents abuse, while enabling connections with allies. It provides self-care tips, including advice not to blame yourself for experiencing abuse, to ask for help, and to meditate on your feelings while thinking strategically about moving forward. Their @theheartbot account is a Twitter bot that logs reports of online abuse to dis-incentivise harassers. Another resource explains what to expect if you want to prepare a case or file a police report in the US. 6) The XYZ platform from the digital security non-profit Tactical Tech includes resources for politically-active women who use digital technologies to organise, carry out their work and express themselves. This group also supports individuals and organisations in building digital security skills including through trainings and toolkits. 7) The Data Detox, while not explicitly focused on online abuse, offers a relevant, free course. Over eight days, in under half an hour a day, you can learn to control your digital self. For example, you look at how much Facebook knows about your interests, how to flush out publicly available data and how to deep clean your Facebook account. 8) Take Back the Tech’s ‘Be Safe’ website offers roadmaps for responding to cyberbullying, blackmail and hate speech online including real strategies people have used when faced with such abuse. It includes a section on what your human rights are under international law when it comes to hate speech. A safety toolkit explains how you can keep your devices secure and delete files, while the site’s self-care tips highlight the importance of stress relief, sleep, nutrition and social support. 9) TrollBusters calls itself ‘online pest control for journalists’. It promises to help you assess the threat, figure out what steps to take and where to report trolls. Their ‘What to do? Where to go?’ infographic details some of these strategies in a condensed form. They also provide free lessons on ‘digital hygiene’ to help you protect yourself. 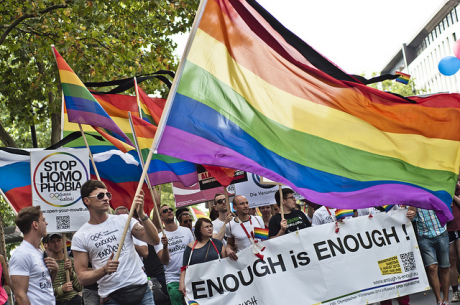 10) Amplify Your Voice is a resource kit from the US organisation GLAAD. It includes a section on how to be an ally to LGBTQ people online and provides tips on speaking out for equality through online media. It also advises internet users on how to stay safe on Facebook and how to report cyberbullies. Special thanks to Shelley Buckingham from the Association of Women in Development (AWID) and Rashima Kwatra from OutRight Action International for their input into this list, as well as the multiple other women and non-binary people who shared resources with us.